When it’s time to do something about alcohol addiction for you or somebody you love, choosing the best rehab program is an important first step. Yet different people have different needs. Generally, the longer your alcohol abuse, the longer and more intensive rehabilitation is required. And no matter how long the program you choose lasts – whether it’s a few days or a few months – the after-care support and long-term follow-up are critical to making a full recovery. The best alcohol treatment programs address not only the problem drinking but also the emotional stress and other life issues that trigger your drinking in the first place. Once you recognize that you or somebody you love needs an alcohol rehab program, you probably will start noticing that there are advertisements and commercials for different treatment centers seemingly everywhere you turn. Many of these commercials and ads feature images of bucolic settings with inspiring views of nature. While these types of amenities are nice to have, they actually don’t have anything to do with recovery. Plus, they probably come with a steep price tag. When considering alcohol rehab programs, what’s more, important than gorgeous views or tranquil settings are things such as being fully licensed, the quality of care received during treatment, what kind of follow-up services are available after direct treatment ends, and the qualifications of the people running and working at the facility. 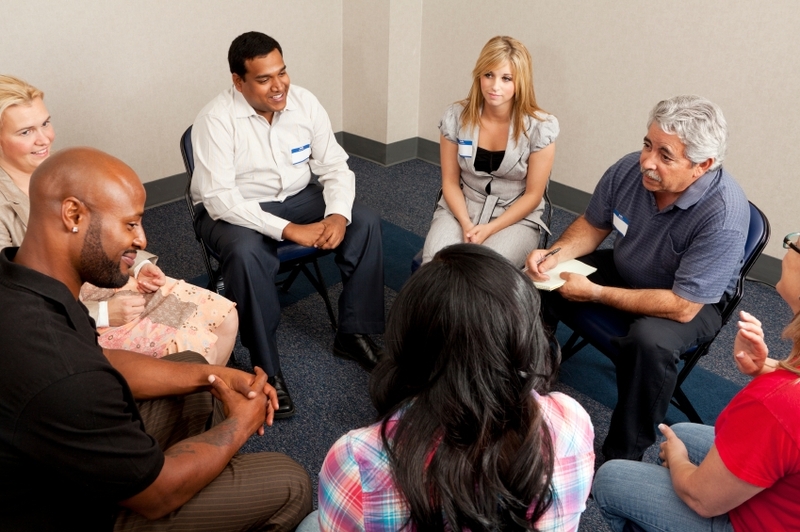 There are many different types of alcohol rehab programs. The one you choose will depend on your specific needs. Residential programs require you to live at the treatment facility 24 hours per day, usually for a period of between 28 and 90 days, depending on the severity of your alcohol addiction. A period of detoxification is followed by intensive counseling and treatment. Partial hospitalization is used for people with alcohol problems who need ongoing medical treatment but who are stable enough to live on their own during treatment. Usually, these types of programs require participants to meet at a hospital or treatment center four to six hours per day, three to five days a week for a period of several weeks. Intensive outpatient programs (IOP) are for people who have serious alcohol addictions but don’t necessarily require a residential program. They focus mostly on relapse prevention and are often scheduled to coincide with work or school commitments. There are many ways to find alcohol treatment facilities that provide the type of services you or somebody you love needs. A referral from your primary care provider is one of the most common ways to connect with the appropriate treatment facility. Your doctor is most familiar with your health needs, so he or she can guide you to the program that best suits your specific requirements. There are also many different alcohol treatment hotlines and websites you can visit that include lists of facilities. These hotlines and websites are available for most of the countries, including the US, the UK, Australia and Canada. Search the Internet for the name of your home country and the words “alcohol treatment centers” to become instantly connected with the links to the programs in your area. The cost of alcohol treatment programs varies wildly, from the very affordable to the very surprisingly expensive. Before choosing any treatment facility, it’s important for you to understand both what it’s going to cost and how you are going to pay for it. Leaving a program sober but deeply in debt could be all that’s required to drive you back to your addiction. Check with your health insurance provider to see what type of coverage you have for alcohol rehabilitation. Call the number on the back of your insurance card or visit your insurance company’s website. Ask specifically about what kind of mental health and substance abuse coverage you have. You also should ask about what out-of-pocket expense, co-payments, and insurance deductibles you will be responsible for. If you can’t afford the program you need, ask if they offer sliding scale or reduced payment options. Getting the best possible care for your alcohol dependency is important, but don’t use it as an excuse to delay seeking treatment. The longer you suffer from any addiction, the more difficult it will be to overcome it. Get the treatment you need at the best-possible facility you can afford as soon as possible so you can begin curing your illness and get on the path to recovery. Your life depends on it.